Did MST3K’s Joel Robinson Create Artificial Intelligence for His Bots? It is time to totally geek out and blow one aspect of a glorified puppet show way out of proportion. I am going to talk about a show that is near and dear to my heart – Mystery Science Theater 3000. I know I’m not supposed to worry about how Joel eats and breathes, and other science facts (la la la), but I can’t help wondering: Did Joel create artificial intelligence for his Bots? And why would Joel program his robots to incessantly mock him and destroy his beautiful creation made of toothpicks? All of these things lead me to believe that Joel invented artificial intelligence for his Bots. Perhaps he wanted his companions not to be lifeless underlings that would simply do his bidding, but sassy friends to help him keep a sense of humor about his situation being stuck on a spaceship called the SOL. The main title song says that Joel used the special parts that would have allowed him to control when the movies begin and end to make his robot friends. He could have spared himself plenty of pain by not having to watch any terrible movies, but he instead chose to build possible sentient beings to bear his burden and safeguard his sanity. Isn’t that what friends are for? 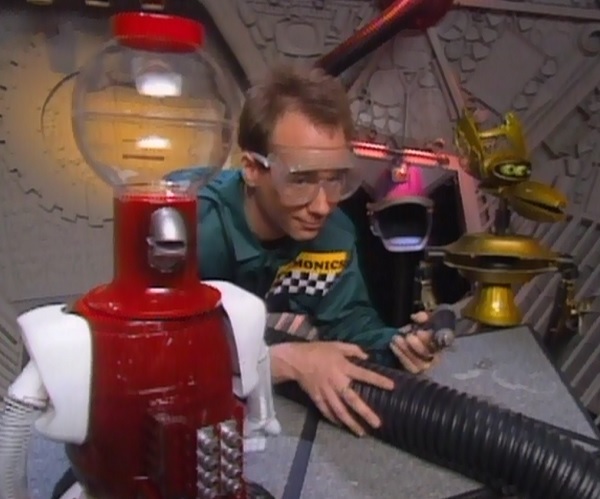 And despite their gruff exteriors, Crow and Servo are absolutely Joel’s friends. Then again, at one point Crow struggles to figure out the inner workings of what is obviously just a simple puppet on Joel’s arm, and he says, “That thing’s no more alive than I am!” Plus, Joel was able to increase Servo’s sarcasm level so high that it eventually made Servo’s head explode. Could it be that all of the Bots’ personality quirks, jokes, quips, and philosophical questions about life and existence stem from an elaborate bit of programming given to them by their creator? Are they just machines like Joshua in WarGames, giving programmed responses to questions and circumstances, but never truly having their own original thoughts? Sure, he starts out by talking about his cyber-based bubble memory and Unix operating system, but he goes on to address his emotions, wisdom, current understanding of his own self, and his tendency to panic when making a sandwich. Those sound like human (if somewhat neurotic) tendencies to me. I mean, why would a robot need to make or eat sandwiches at all? I think the fact that Joel is an inventor working for a company called the Gizmonic Institute might just give a hint about the origins of the Bots’ consciousness. I’m inclined to believe that Gizmonics created artificial intelligence. It’s unlikely that Joel invented it for them because he was just a lowly janitor there. Joel took the parts available to him on a spaceship created by Gizmonics and built four sentient beings for himself. That’s the best explanation I can come up with. I’m probably way overthinking this. I should really just relax. The image and video clips are the copyright of their owners. This entry was posted in Random Stuff and tagged comedy, crow t robot, funny, humor, joel robinson, jokes, mst3k, mystery science theater 3000, science fiction, tom servo, TV shows. Bookmark the permalink.